One of the many different variants of the 1980's Pacman has appeared on the Atari XL/XE, and this one is an updated homebrew called ' Pac-Mad ' programmed by BOCiANU with music by LiSU. 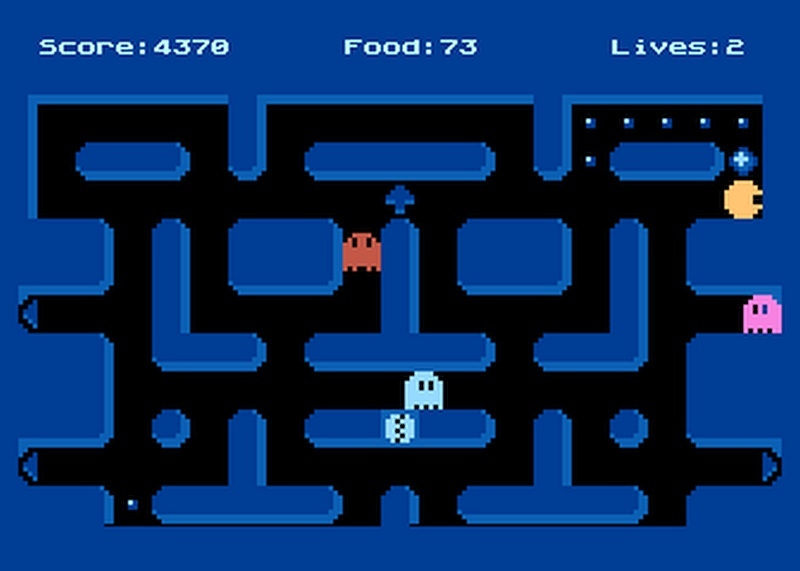 In the original classic you took control of Pac-Man through a maze, eating all the pac-dots, avoiding ghosts or eating them with a special pick up and moving on to the next stage. Pac-Mad however is very similar but instead has a scrolling screen, fast moving enemies with fast moving music, and large dots that can slow down musical time and make the ghosts edible! Pac-Mad was first seen in Ironia 2k17 and during the party the creator had improved the game with the ideas he had planned from the beginning taking into accounts from player comments. Not only does this release have bug fixes and is optimised for speed, but it has 20 new levels, balance and level changes, bonuses in the form of randomly appearing fruit, new sound effects and much more!